Khama Billiat is a Zimbabwean international footballer who is based in South Africa where he plays for Mamelodi Soundowns. He was born on the 19th of August in 1990 in Harare. Billiat attended Lord Malvern High School for his secondary education. Billiat played for CAPS United Football Club before he went on to play in the South African league. Between 2010 and 2013, Billiat was playing for Ajax Cape Town in South Africa. He also played for the Zimbabwe National Soccer Team also known as the Warriors. CAPS United Football Club (Zimbabwe Premier Soccer League). In May 2016 Billiat was instrumental in Mamelodi Sundowns' dominance in the ABSA premier league. He managed to scoop the player of the month award during the season. Billiat and Mosimane voted PSL Player & Coach of the Month! In 2014 Billiat is said to have been involved in a love affair with dancer and entertainer Beverly Sibanda. The alleged affair gathered momentum after Bev had put Billiat on her WhatsApp profile picture. 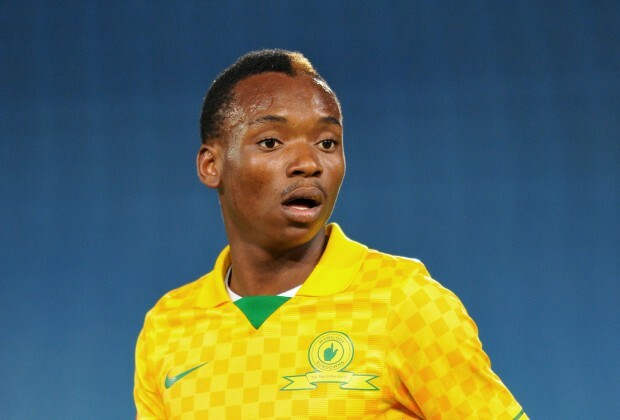 ↑ 1.0 1.1 , "Sundowns place $2,5m price tag on Billiat", retrieved: # Aug 2016"
↑ , KHAMA BILLIAT,Transfer Market, retrieved:24 Jun 2015"
↑ , About,Khama Billiat Facebook Profile, retrieved: 24 Jun 2015"
↑ 4.0 4.1 , CAREER,Int Soccer, retrieved:24 Jun 2015"
↑ T. Khosa, Khama Billiat dating dancer Beverly,Nehanda Radio, published:4 Jul 2013,retrieved:24 Jun 2015"
Please visit the following to contribute to the profile of Khama Billiat.